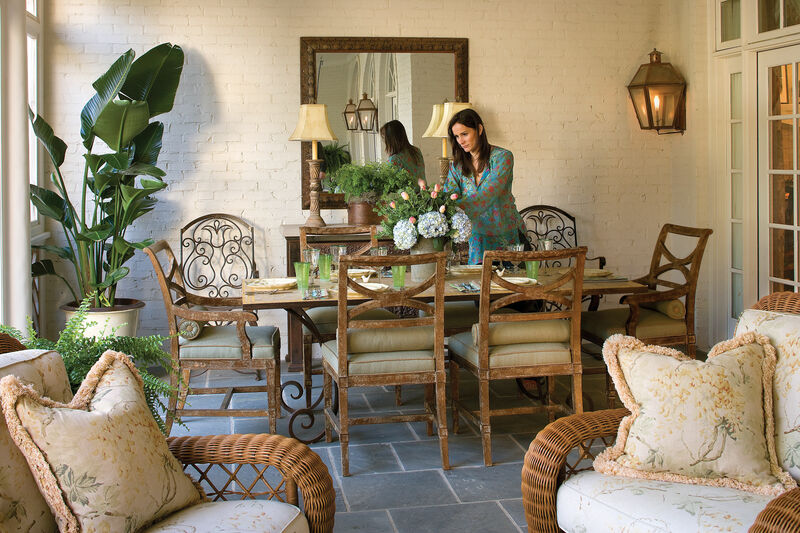 Interior designer Sally Steponkus is a native Washingtonian, so she knows how to network. “D.C. is a big city with a small town vibe, and the design community is pretty condensed, so I try to be friendly with everyone,” she says. That sincere Southern charm is reflected in her approach to interiors: a smart and spunky mix of bright colors and bold patterns, blended with preppy restraint and a gracious, personal touch. “I have all sorts of influences, from old to new, high to low,” she explains. And Sally’s lively look is refreshingly within reach – her own home (which doubles as her office) is filled with easy decorating tricks and surprising sources for her “updated traditional” style. Take note of these ten capital ideas, straight from a D.C. expert. The streamlined white club chairs in Sally’s living room once belonged to her parents – they bought the chairs for their very first home. Sally recovered them in soft white linen for a crisp look. Sally’s plush carpet is comfortable underfoot, but she wanted to add texture and help define each space. Sally covered her neutral carpet with interesting area rugs – a braided jute version in her living room and an intricate needlepoint rug in her bedroom. Sally bucked the “matchy, matchy” rule by placing different end tables and lamps on either side of the sofa in her living room. The mismatch works because, even though one table is a white Asian-inspired look and the other is a black step-like design, both tables are the same height. A sleek brass reading lamp pairs nicely with the simple white table, while a large silver-leaf table lamp fits with the more substantial black table. She stacks books, leans artwork, and displays sentimental objects, like a collection of seashells in a pretty yellow bowl, atop the tables to add visual interest. “Don’t be afraid of wallpaper,” says Sally. “The trick is to hire a professional because hanging paper is all about precision!” Sally uses wallpaper in compact spaces, like her entry way, bathroom, and kitchen, where small-scale patterns make a big impact. 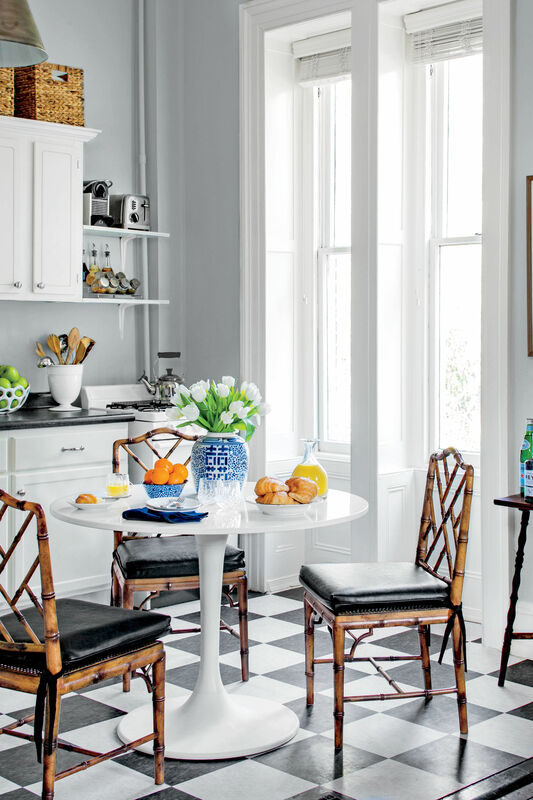 “My kitchen is pretty basic, but the fresh green trellis wallpaper pumps it up,” she says. 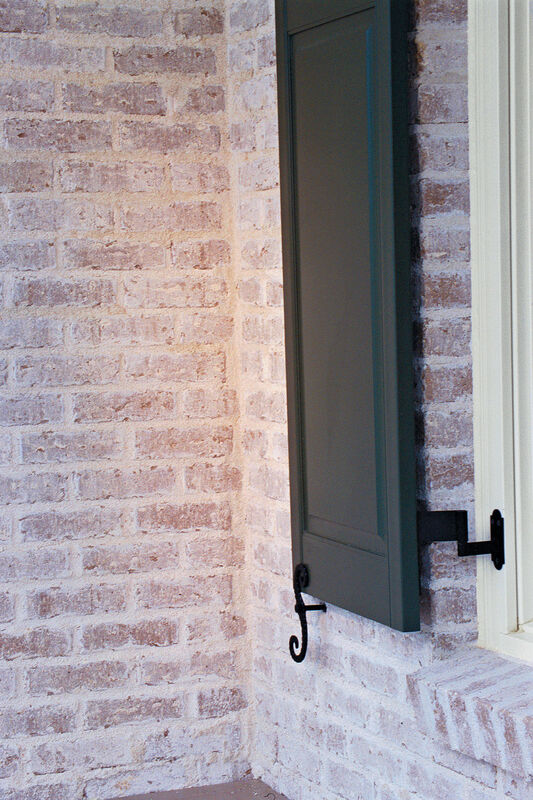 Plus, zeroing in on tighter spaces keeps the cost down. “I’m not necessarily a ‘bargain-shopper,’ but sometimes I luck out,” says Sally, referring to the dramatic gold bamboo mirror above her living room sofa, which she snagged for $25 on craigslist.org. The mirror coordinates with a similar bamboo version that hangs in her entry. Both mirrors serve to open up the spaces. A white lacquer mirror hangs in her bedroom to reflect light and make the space feel bigger. Sally’s sweet pink-and-white bathroom, wallpapered in a witty pineapple pattern, is girly without being over-the-top. A bright pink “S” embroidered on her white shower curtain and coordinating towels adds a personal touch. Her monogram also appears on a dainty lime green boudoir pillow, which is a special finishing touch on her well-dressed bed. “Lamps should be beautiful as well as useful,” says Sally, whose assortment of sculptural table lamps completes each room. “And a good shade makes all the difference.” Sally rarely uses the shade that a lamp comes with, opting for custom colors or shades embellished with ribbon, like the ones on her bedroom chest. “These were a pair of vases that I used in a show house. The color was perfect for my bedroom, so I had them wired as lamps,” says Sally. She trimmed inexpensive white shades in green grosgrain ribbon to finish the look.